Happy Monday! I have a special treat for you today, one of my favourite young brands have a week long sample sale with up to 50% off their current and Christmas collections. 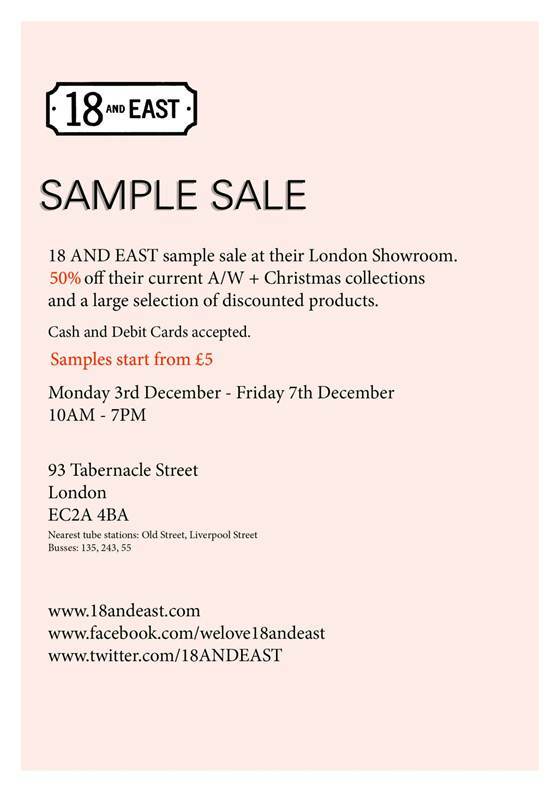 Samples start at just £5 so get town to Tabernacle Street this week.